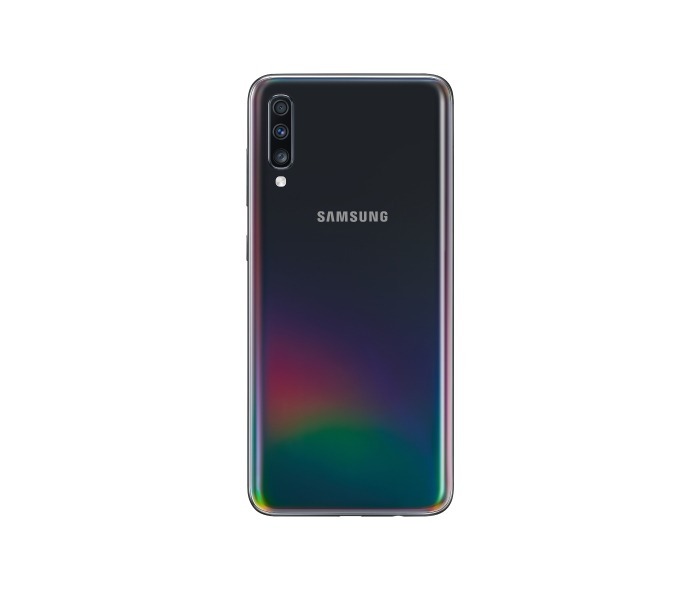 Samsung is launching back to back phones in the ‘A’ series and the latest one that was announced today is the Samsung Galaxy A70. It is a mid-range phone featuring a triple camera setup on the rear, a big 4,500mAh battery, a huge 6.7-inch screen and more. 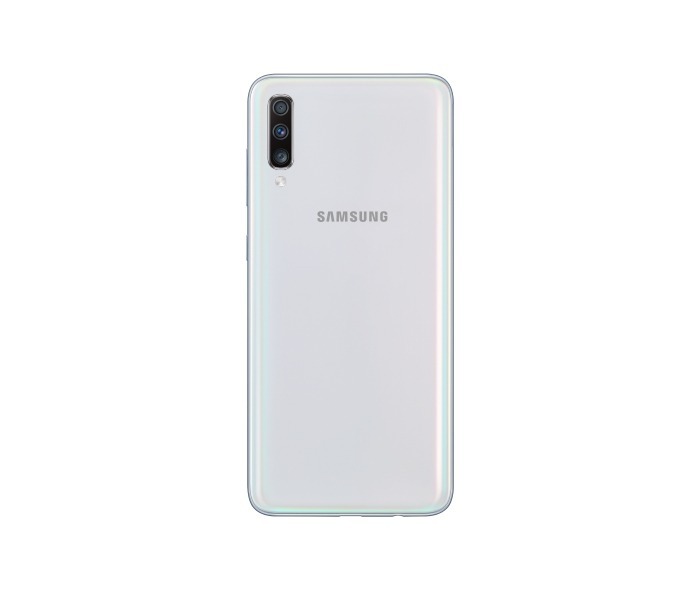 In terms of the design, it is similar to the Galaxy A50, so the only difference is the size. It has the same 3D Glasstic back as rest of the A series devices. 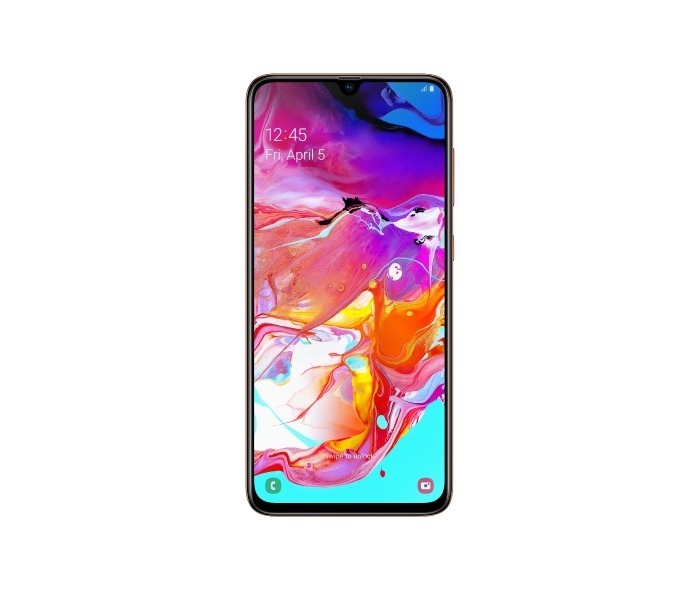 The Galaxy A70 features a 6.7-inch Super AMOLED Infinity-U display with Full-HD+ resolution (1080×2400) & 20:9 aspect ratio. There is an unknown octa-core processor clocked at up to 2.0GHz & the phone comes with 6/8GB RAM along with 128GB internal storage. The storage is expandable up to 512GB (triple slot). There are triple cameras on the rear that include a primary 32MP f/1.7 camera, a secondary ultra-wide-angle 8MP f/2.2 camera (123°) & a third 5MP f/2.2 depth sensor. On the front, the Samsung Galaxy A70 has a single 32MP camera with f/2.0 aperture. Features like Scene Optimizer, Live Focus, Flaw Detection etc. are also there. The phone packs in a huge 4,5000mAH battery that supports the 25W Fast Charging via USB Type-C port. Android 9 Pie runs out of the box with Samsung’s One UI on top. 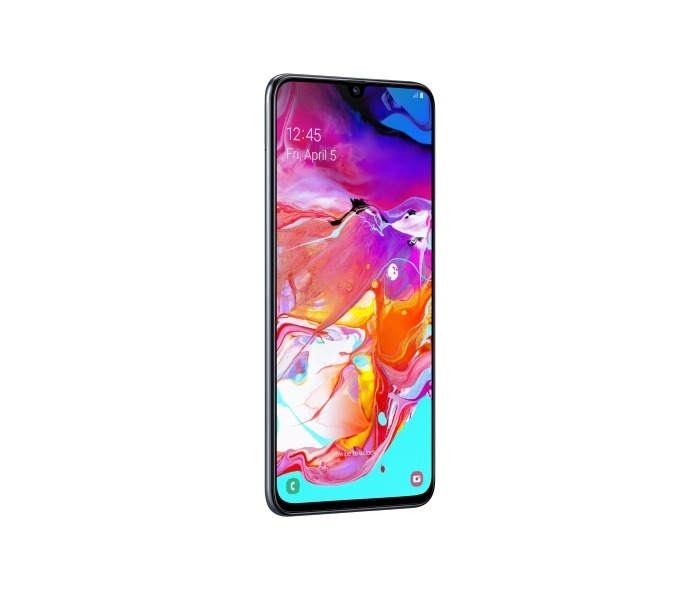 Like the Galaxy A50, the A70 has an in-display fingerprint scanner. 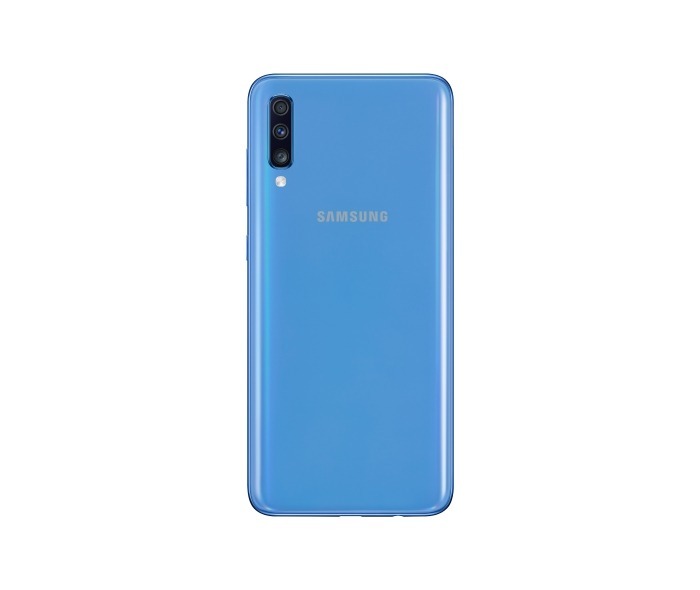 The Samsung Galaxy A70 comes in four colors – Black, Blue, Coral, and White. There is no information on the pricing and availability, so maybe Samsung would announce that on April 10th.